Sarah Nader - snader@shawmedia.com Bishop-elect David Malloy (center) during his ordination of David Malloy as the ninth bishop of Rockford at the BMO Harris Bank Center in Rockford on Monday, May 14, 2012. Sarah Nader - snader@shawmedia.com Archbiship of Chicago Francis Cardinal George during the Episcopal Ordination and Installation of Rev. 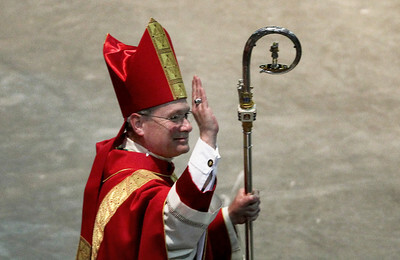 Monsignor David Malloy as the Ninth Bishop of Rockford at the BMO Harris Bank Center in Rockford on Monday, May 14, 2012. 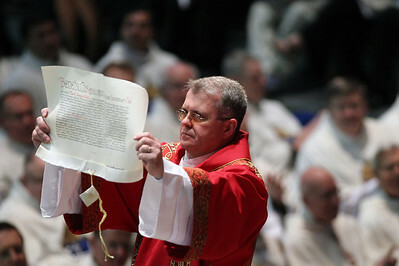 Sarah Nader - snader@shawmedia.com Kevin Prunty, chaplain to the Apostolic Nuncio to the United States Archbishop Carlo Maria Vigano, shows the Apostolic Letter to the crowd during the ordination of David Malloy as the ninth bishop of Rockford at the BMO Harris Bank Center in Rockford on Monday, May 14, 2012. Sarah Nader - snader@shawmedia.com Rev. 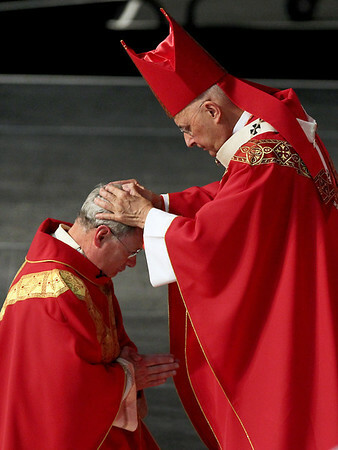 Monsignor David Malloy (left) sits across from Archbiship of Chicago Francis Cardinal George during the Episcopal Ordination and Installation of Rev. 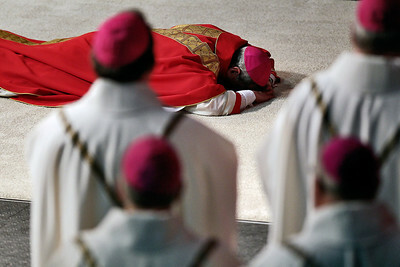 Monsignor David Malloy as the Ninth Bishop of Rockford at the BMO Harris Bank Center in Rockford on Monday, May 14, 2012. Sarah Nader - snader@shawmedia.com The stage is set before the opening precession during the ordination of David Malloy as the ninth bishop of Rockford at the BMO Harris Bank Center in Rockford on Monday, May 14, 2012. 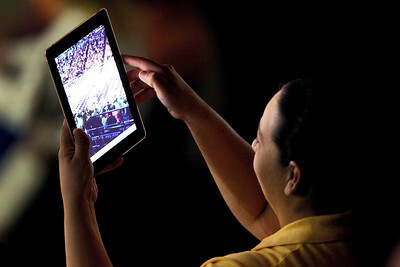 Sarah Nader - snader@shawmedia.com With her iPad a parishioner record the Episcopal Ordination and Installation of Rev. 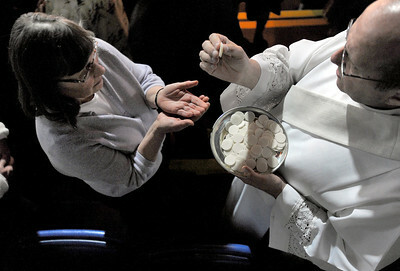 Monsignor David Malloy as the Ninth Bishop of Rockford at the BMO Harris Bank Center in Rockford on Monday, May 14, 2012. Sarah Nader - snader@shawmedia.com Archbiship of Chicago Francis Cardinal George (right) ordained Bishop David J. Malloy during the Laying on of Hands and Prayer of Ordination at the Episcopal Ordination and Installation of Rev. 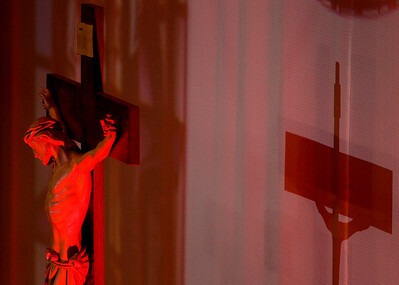 Monsignor David Malloy as the Ninth Bishop of Rockford at the BMO Harris Bank Center in Rockford on Monday, May 14, 2012. Sarah Nader - snader@shawmedia.com A parishioners attends the Episcopal Ordination and Installation of Rev. 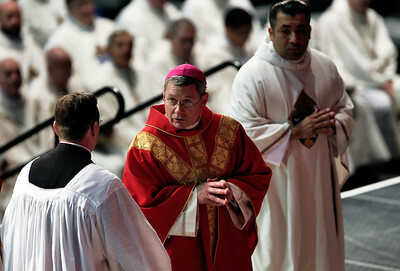 Monsignor David Malloy as the Ninth Bishop of Rockford at the BMO Harris Bank Center in Rockford on Monday, May 14, 2012. 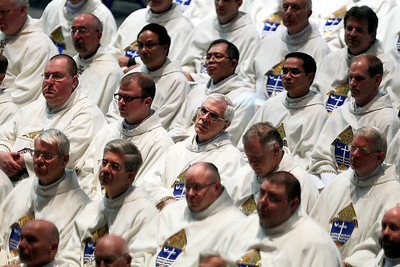 Sarah Nader - snader@shawmedia.com Priests, deacons and seminarians sit down during the ordination of David Malloy as the ninth bishop of Rockford at the BMO Harris Bank Center in Rockford on May 14, 2012. 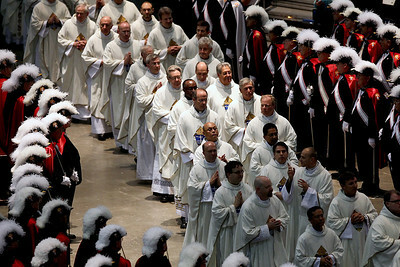 Sarah Nader - snader@shawmedia.com The processional enters during the Episcopal Ordination and Installation of Rev. 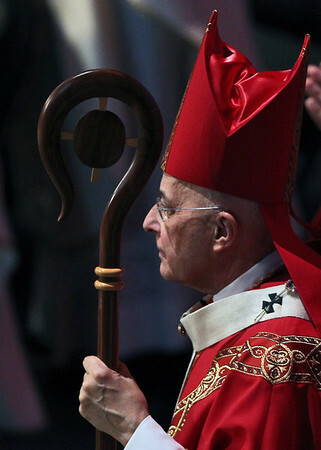 Monsignor David Malloy as the Ninth Bishop of Rockford at the BMO Harris Bank Center in Rockford on Monday, May 14, 2012. Sarah Nader - snader@shawmedia.com Bishop Malloy walks through the arena and blesses all who were present during the Episcopal Ordination and Installation of Rev. 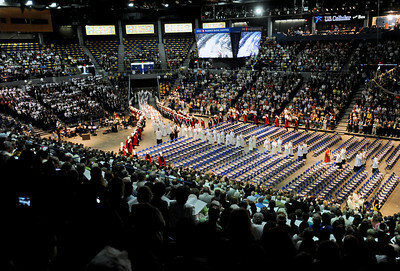 Monsignor David Malloy as the Ninth Bishop of Rockford at the BMO Harris Bank Center in Rockford on Monday, May 14, 2012. Sarah Nader - snader@shawmedia.com Parishioners line up to receive communion during the Episcopal Ordination and Installation of Rev. Monsignor David Malloy as the Ninth Bishop of Rockford at the BMO Harris Bank Center in Rockford on Monday, May 14, 2012. 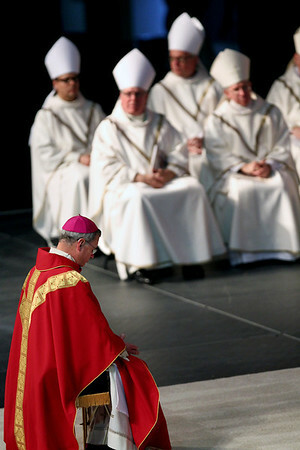 Bishop-elect David Malloy (center) during his ordination of David Malloy as the ninth bishop of Rockford at the BMO Harris Bank Center in Rockford on Monday, May 14, 2012.